Service-friendly transparent cover plates for easy accessibility. Available for manual and automatic feeding. Lateral folding by mechanical knives and cushioned metal templates. Transport belt in the lateral folding area can perfectly adapt to the fabric of textiles. 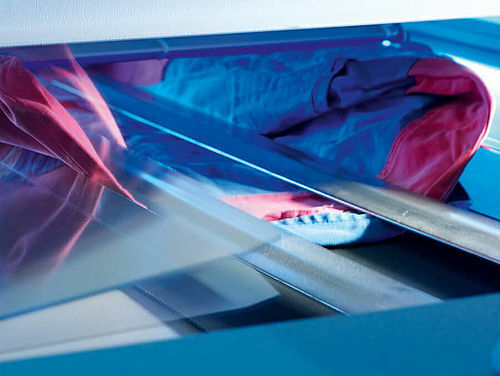 Garments are additionally stretched through the additional folding motion. Cross folding stations by reversing conveyors automatically adapt to the type of material. The lateral folding templates and cross fold section automatically adapt to the particular type of linen and facilitate a faster feeding. 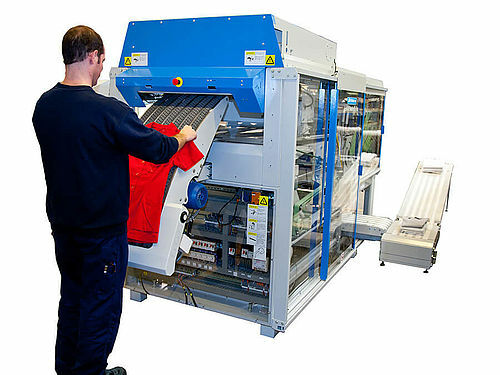 Automatic folding applied according to customer, article, and size of garment without human intervention. 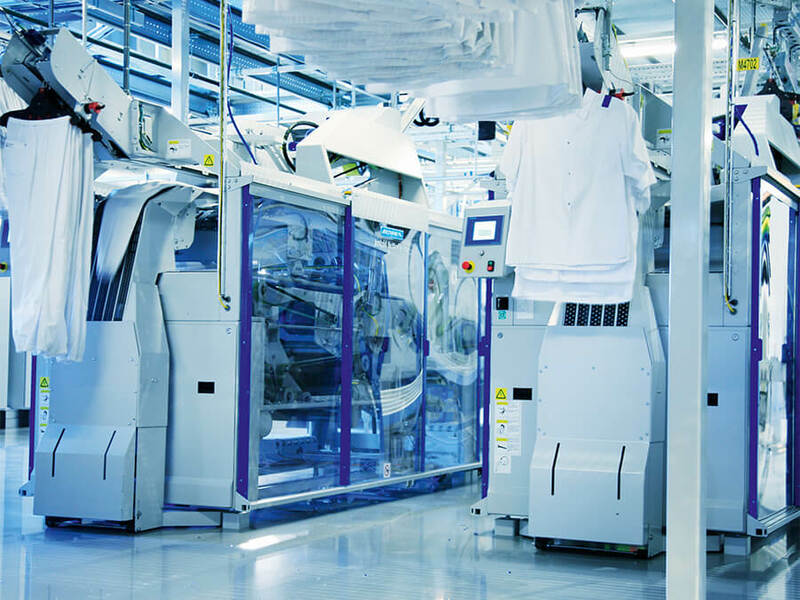 Transparent, sliding doors and light inside the machine. Minimum downtime in case of a jam inside the machine. 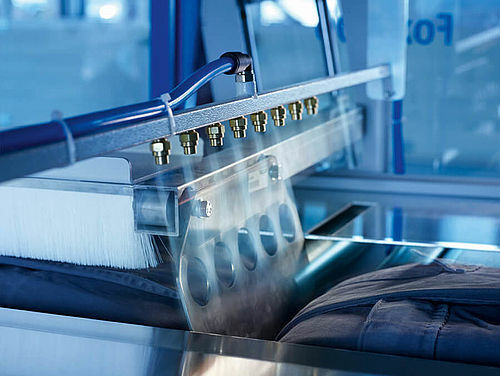 Manual feeding of light and heavy garments on ergonomic correct feeding table with vacuum assist.